The spread of nuclear weapons technology by Pakistan to other countries - including Libya, North Korea and Iran - shows beyond any doubt that there is no such thing as "peaceful nuclear power." Preventing nuclear proliferation would require abandoning the myth of the peaceful atom, and shifting energy generation toward non-toxic renewable sources (especially in sunny south Asia). The wealthy countries of North America and Europe need to help finance and facilitate this transition as a partial apology for imperialism - and it is in everyone's interest, even those who oppose decentralized solar power since they cannot control or sell sunlight. A non-nuclear, solar powered future would make it very easy to track nuclear weapons proliferation. Future generations are unlikely to be able to babysit the nuclear excrement in perpetuity, so creating more ultrahazardous wastes incompatible with life forms using DNA is a crime against everything (even if it keeps various distractions powered, albeit temporarily). The energy invested into the nuclear fuel cycle would be better spent on hyper efficiency, relocalization of production, voluntary simplicity in the wealthy countries, and transfer of renewable energy technology to the poor countries. This alternative scenario would even benefit the paranoid elites who think that they need absolute control over everything and everyone, since uncontrolled nuclear proliferation is an unfolding nightmare that leads to the worst case "Olduvai Scenario" - the collapse of civilization. WASHINGTON - Democratic presidential candidate Barack Obama said Wednesday that he would possibly send troops into Pakistan to hunt down terrorists, an attempt to show strength when his chief rival has described his foreign policy skills as naive. The Illinois senator warned Pakistani President Gen. Pervez Musharraf that he must do more to shut down terrorist operations in his country and evict foreign fighters under an Obama presidency, or Pakistan will risk a U.S. troop invasion and losing hundreds of millions of dollars in U.S. military aid. "Let me make this clear," Obama said in a speech prepared for delivery at the Woodrow Wilson International Center for Scholars. "There are terrorists holed up in those mountains who murdered 3,000 Americans. They are plotting to strike again. It was a terrible mistake to fail to act when we had a chance to take out an al-Qaida leadership meeting in 2005. If we have actionable intelligence about high-value terrorist targets and President Musharraf won't act, we will." The excerpts were provided by the Obama campaign in advance of the speech. Obama's speech comes the week after his rivalry with New York Sen. Hillary Rodham Clinton erupted into a public fight over their diplomatic intentions. Obama said he would be willing to meet leaders of rogue states like Cuba, North Korea and Iran without conditions, an idea that Clinton criticized as irresponsible and naive. Obama responded by using the same words to describe Clinton's vote to authorize the Iraq war and called her "Bush-Cheney lite." The speech was a condemnation of President Bush's leadership in the war on terror. He said the focus on Iraq has left Americans in more danger than before Sept. 11, 2001, and that Bush has misrepresented the enemy as Iraqis who are fighting a civil war instead of the terrorists responsible for the attacks six years ago. "He confuses our mission," Obama said, then he spread responsibility to lawmakers like Clinton who voted for the invasion. "By refusing to end the war in Iraq, President Bush is giving the terrorists what they really want, and what the Congress voted to give them in 2002: a U.S. occupation of undetermined length, at undetermined cost, with undetermined consequences." Obama said that as commander in chief he would remove troops from Iraq and putting them "on the right battlefield in Afghanistan and Pakistan." He said he would send at least two more brigades to Afghanistan and increase nonmilitary aid to the country by $1 billion. He also said he would create a three-year, $5 billion program to share intelligence with allies worldwide to take out terrorist networks from Indonesia to Africa. Note the date on this article - the day before Ms. Bhutto's assassination - foreknowledge? coincidence? obvious conclusion that was only a question of when it would happen? Beginning early next year, U.S. Special Forces are expected to vastly expand their presence in Pakistan, as part of an effort to train and support indigenous counter-insurgency forces and clandestine counterterrorism units, according to defense officials involved with the planning. The US armed forces are virtually powerless to prevent Pakistan's nuclear arsenal from falling into Islamist hands if the political crisis in Islamabad spins out of control, analysts warned. Instead, they said, Washington can do little but help to resolve the crisis and preserve its strong ties with Pakistan's pro-Western military elite, whether or not General Pervez Musharraf stays in power. MANCHESTER, N.H. (AP) - Two Democratic presidential candidates with extensive foreign policy experience warned Thursday that the current unrest in Pakistan is reminiscent of events that led up to the Iranian hostage crisis of 1979-81. Joe Biden, chairman of the Senate Foreign Relations Committee, and Bill Richardson, a former U.N. ambassador during the Clinton administration, said the U.S. is in danger of repeating the mistakes that led to one of the nation's worst international debacles of the last half century. Biden and Richardson, speaking separately to the New Hampshire Institute of Politics at Saint Anselm College, both called for new aid policies to restore democracy and prevent a failed state. Pakistani President Pervez Musharraf declared emergency rule last Saturday and granted sweeping powers to authorities to crush political dissent. Both Democrats said U.S. support for Musharraf is similar to the support offered to the unelected leader of Iran, Shah Mohammed Reza Pahlavi, before he was overthrown. "Pakistan has strong democratic traditions and a large moderate majority," Biden said. "But the moderate majority must have a voice in the system and an outlet with elections. If not, moderates may find that they have no choice but to find common cause with extremists, just as the Shah's opponents did in Iran three decades ago. "But unlike Iran, Pakistan already is a nuclear state." Richardson said he would considering cutting off aid to nations, such as Pakistan, that flout good governance. He noted the United States has given Pakistan $10 billion since 2001, mainly to benefit the military. "We made the mistake years ago of backing a dictatorship in Iran. We're paying for it today. ... Unless we advocate democracy and human rights and a dramatic change in Pakistan, we're in danger of making the same mistake," Richardson said during a general question-and- answer sessions about U.S. security. Bin Laden Killed Bhutto? How Blind Can We Be? The shorthand being bandied about in the news that al-Qaeda is responsible for the assassination of Benazir Bhutto is so sloppy, so lacking in nuance or understanding of the dynamics of Pakistan, and so self-centered in its reference to America's enemy as to be almost laughable. if al-Qaeda were involved at all, it's less likely to have dictated decisions than to have been used by domestic factions pursuing their own power objectives. Those factions almost universally have an interest in labeling all lawlessness and terrorism "al Qaeda" activity. Given Pakistan's history, it is unlikely that the true perpetrators will ever be brought to justice. For the United States though, the al-Qaeda bogey-man has the negative effect of affirming support for Musharraf and his martial law, while ignoring the various extremists who represent the true existential threat to the country. We should not let our al-Qaeda fixation blind us, just as the Soviet threat did in Iran in the 1970s, to the realities that Pakistan could implode of its own accord. The US has also become singularly focused on individual leaders like Bhutto. Her murder is a tragedy, and Musharraf has called for a three-day mourning period. As the world remembers her contributions, it should also keep her record in perspective. 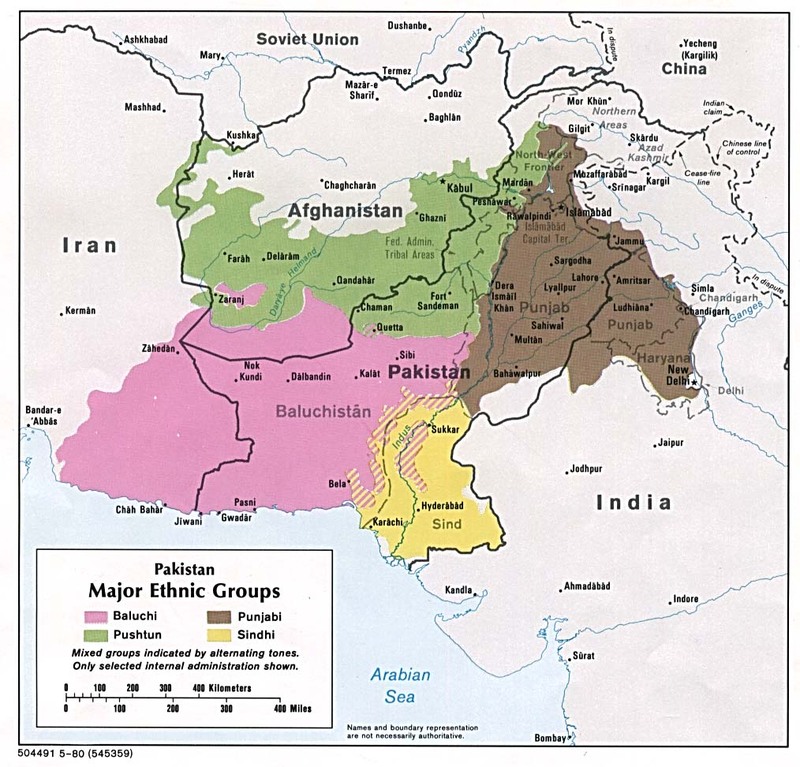 Under Bhutto, Pakistan provided support to the Taliban in the 1990s. Some observers note that Bhutto was not the saviour of democracy she claimed to be, including Bhutto's niece in a recent, biting op-ed in the Los Angeles Times. And it was also in part on Bhutto's watch that Pakistani nuclear scientist Abdul Qadeer Khan, the father Pakistan's nuclear programme, built an international network that led to dangerous transfers of nuclear technology. It has been known for months that the Bush-Cheney administration and its allies have been manuevering to strengthen their political control of Pakistan, paving the way for the expansion and deepening of the “war on terrorism” across the region. The assassination of Benazir Bhutto does not change this agenda. In fact, it simplifies Bush-Cheney’s options. "Free and fair elections, not U.S. troops, are the best strategy for achieving peace and stability in Pakistan." Today, Cynthia McKinney, six-term former Member of Congress and current Green Party Presidential Candidate, announced her shock and disappointment at yesterday's assassination of former President and current Presidential candidate Benazir Bhutto. "I have long had close ties to the people of Pakistan; I traveled there twice, count many Pakistani-Americans among my personal friends, and I had the good fortune to meet Benazir Bhutto. I refused to meet Musharaff when I had the chance because he was always a dictator and I don't meet dictators," McKinney said. Shortly after Bhutto's murder, reports began to surface that the U.S. had finalized plans to send troops to Pakistan. According to McKinney, "There is much that the United States can send to Pakistan, like helping with true democracy instead of rigged elections. The last thing U.S. troops and the Pakistani people need is the presence of U.S. troops in Pakistan." During McKinney's most recent trip to Pakistan earlier this year, she traveled to a Karachi suburb where she met for the second time with the Balochi people of African descent who were among Bhutto's strongest supporters in the country. "This is a sad time--especially for all the strong women in the world, for all the poor and desperate people of Pakistan who need and deserve attention and hope, and for all peace-loving people everywhere who hope that this tragedy is not used as a pretext for more war, more chaos, more destabilization of yet another basically peace-loving people," McKinney said. According to McKinney, the real key to stability in Pakistan begins with free and fair elections using internationally recognized election observers in order to achieve a Pakistani government that reflects the will and dreams of the Pakistani people. McKinney concluded with a caution that the United States should not view chaos in Pakistan, in the aftermath of Bhutto's murder, as a reason for becoming engaged in more war or for putting our troops into harm's way. "War is not an acceptable strategy to achieve democracy--not in Iraq, and not in Pakistan. Free and fair elections, not U.S. troops, are the best strategy for achieving peace and stability in Pakistan," McKinney concluded. "I send my most heartfelt condolences to the Bhutto family and to all the people of Pakistan," said McKinney. ... Real democracy has never thrived in Pakistan, at least in part because landowning remains the principal social base from which politicians can emerge. The educated middle class, which in India gained control in 1947, is in Pakistan still largely excluded from the political process. It is this as much as anything else that has fuelled the growth of the Islamists. Pakistan today in many ways resembles pre-revolutionary Iran. A cosmopolitan middle class is prospering, yet for the great majority of poorer Pakistanis, life remains intolerably hard and access to justice or education is a distant hope. Health care and other social services for the poor have been neglected, in contrast with the public services that benefit the wealthy, such as airports. Secular democracy will only ever flourish in Pakistan if space is created for secular politicians from non-feudal backgrounds who represent the grassroots: the Pakistani equivalents of India's dalit (untouchable) leader Mayawati, or Laloo Prasad Yadav. Until then, if Pakistanis only have a choice between the related feudal and military elites, the growth of the Islamist parties will continue, and the country's violent upheavals can only grow. US government concerns about Pakistan "going nuclear" in the 1970s - after India's first nuclear test in 1974 - were sidelined after the 1979 Soviet invasion of Afghanistan, since Pakistan was used as the primary conduit of military aid to the Afghan mujaheddin (resistance). While some apologists for the US empire float the idea that the Clinton administration is responsible for turning a blind eye to Pakistan's nuclear activities, the key decisions were made by the Reagan / Bush administration, not Clinton. These links provide some of the better information that is available in the public domain about Pakistan's nuclear weapons program and their proliferation of this technology to other countries. One can only wonder about the full story that is not in the public domain - but it shows beyond any doubt that there is no real firm division between so-called "peaceful" use of nuclear energy and the development of nuclear weapons. A WHISTLEBLOWER has made a series of extraordinary claims about how corrupt government officials allowed Pakistan and other states to steal nuclear weapons secrets. Edmonds, a fluent speaker of Turkish and Farsi, was recruited by the FBI in the aftermath of the September 11 attacks. Her previous claims about incompetence inside the FBI have been well documented in America. She has given evidence to closed sessions of Congress and the 9/11 commission, but many of the key points of her testimony have remained secret. She has now decided to divulge some of that information after becoming disillusioned with the US authorities’ failure to act. One of Edmonds’s main roles in the FBI was to translate thousands of hours of conversations by Turkish diplomatic and political targets that had been covertly recorded by the agency. The Turks, she says, often acted as a conduit for the Inter-Services Intelligence (ISI), Pakistan’s spy agency, because they were less likely to attract suspicion. Venues such as the American Turkish Council in Washington were used to drop off the cash, which was picked up by the official. The Pakistani operation was led by General Mahmoud Ahmad, then the ISI chief. Intercepted communications showed Ahmad and his colleagues stationed in Washington were in constant contact with attachés in the Turkish embassy. Intelligence analysts say that members of the ISI were close to Al-Qaeda before and after 9/11. Indeed, Ahmad was accused of sanctioning a $100,000 wire payment to Mohammed Atta, one of the 9/11 hijackers, immediately before the attacks. The results of the espionage were almost certainly passed to Abdul Qadeer Khan, the Pakistani nuclear scientist. Edmonds’s employment with the FBI lasted for just six months. In March 2002 she was dismissed after accusing a colleague of covering up illicit activity involving Turkish nationals. She has always claimed that she was victimised for being outspoken and was vindicated by an Office of the Inspector General review of her case three years later. It found that one of the contributory reasons for her sacking was that she had made valid complaints. The US attorney-general has imposed a state secrets privilege order on her, which prevents her revealing more details of the FBI’s methods and current investigations. Her allegations were heard in a closed session of Congress, but no action has been taken and she continues to campaign for a public hearing. Steve Weissman and Herbert Krosney. The Islamic Bomb, Times Books, Quadrangle/The New York Times Book Co., New York, 1981. ISBN 0-8129-0978-X. Excellent book about nuclear weapons programs in Pakistan, Iraq and Israel. Barlow was relentless in exposing what he saw as US complicity, and in the end he was sacked and smeared as disloyal, mad, a drunk and a philanderer. If he had been listened to, many believe Pakistan might never have got its nuclear bomb; south Asia might not have been pitched into three near-nuclear conflagrations; and the nuclear weapons programmes of Iran, Libya and North Korea - which British and American intelligence now acknowledge were all secretly enabled by Pakistan - would never have got off the ground. "None of this need have happened," Robert Gallucci, special adviser on WMD to both Clinton and George W Bush, told us. "The vanquishing of Barlow and the erasing of his case kicked off a chain of events that led to all the nuclear-tinged stand-offs we face today. Pakistan is the number one threat to the world, and if it all goes off - a nuclear bomb in a US or European city - I'm sure we will find ourselves looking in Pakistan's direction." WASHINGTON, Nov. 17 — Over the past six years, the Bush administration has spent almost $100 million so far on a highly classified program to help Gen. Pervez Musharraf, Pakistan’s president, secure his country’s nuclear weapons, according to current and former senior administration officials. Adrian Levy examines how five consecutive US administrations from Jimmy Carter to George W. Bush have been complicit in building and protecting Pakistan's nuclear arsenal. Levy is co-author of the new book: "Deception: Pakistan, the United States, and the Secret Trade in Nuclear Weapons." Mazhar Abbas, the deputy director of one of the stations ARY One World television, joins us in New York. He is also the Secretary-General of the Pakistan Federal Union of Journalists. He has been a well-known champion of press freedom over the past 27 years.